For me, the annual Academy of Nutrition & Dietetics’ Food & Nutrition Conference & Expo is the highlight of nutrition education. I enjoy seeing long-time friends, hearing the latest nutrition research, and visiting many booths of the more than 200 food-related exhibitors. Companies represented at the Expo serve a vital purpose as they share information, and often samples, of the latest products introduced to the consumer market. Each year, vendors promote old favorites as well as new products or nutrients. Artificial sweeteners were among many ingredients repeated at the exhibit. Although I tolerate the taste, I prefer sugar or skipping all sweeteners. Sugar-substitutes showed up in a variety of products. Beverage companies touted the 10-calorie drinks by enhancing flavor with a little sugar. If you, like most, enjoy the taste of non-nutritive sweeteners and the thought of lower calories, go for it. Featured this year were numerous products incorporating less-liked vegetables—collard greens, kale, beets, and a variety of other vegetables. Smoothies abounded with these ingredients. As I passed a sign for V-8 juice, I envisioned a refreshing tomato-based drink to quince my thirst. What I found were newer mixtures of vegetables. My palette failed to adjust. I also didn’t care for another vendor’s smoothie heavy on collard greens. Vegetables are a staple in my diet. Although collards are less familiar in my area, I love turnip and mustard greens from our garden but not prepared into smoothies. I favor fresh tender greens, washed and lightly cooked until tender and served with catfish, ham, white beans, or any number of other great foods. Curly-leaf kale, sowed in my garden to use as garnish, was so tasty that is has become a favorite for cooking like other greens. High in nutrients: Provide Vitamins A, C, and K; folate; calcium; phytonutrients (carotenoids, flavonoids, and glucosinolates); and are a good source of fiber. Low (or no) fat and carbohydrates: They yield from 10 to 30 calories per cup. Versatile: Eat raw, steamed, sautéed, or baked. Available in abundant varieties: Try kale; chard; spinach; collard, mustard, turnip, and beet greens; Asian mustard greens; bok choy (baby, baby shanghai); and others. Maybe your taste-buds differ from mine. That’s why we have new products on the market—to meet consumer’s preferences and needs. If you like vegetable smoothies—great. It’s always your choice. As for me, I think I will stay with a big bowl of cooked greens with a nice hunk of cornbread served up with unsweetened tea. Didn’t want to wear green today? Observe St. Patrick’s Day and celebrate National Nutrition Month’s “Eat Right with Color” with heaping servings of green foods for dinner. Low-calorie, nutritious, and tasty kale makes an excellent choice. For many years I was unfamiliar with kale. Cooked greens consumed in my area consisted mostly of turnip or mustard greens. But I knew curly kale made a great garnish for food trays and dishes. I discovered it tastes great, too. Kale grows abundantly in the warm south during cooler weather. It has become a part of our “green patch.” We mix seeds of kale, mustard, and turnip greens and broadcast (sows liberally) in our small garden. Kale takes little space, even the corner of a flower bed will do. Young tender leaves soon replace those gathered. 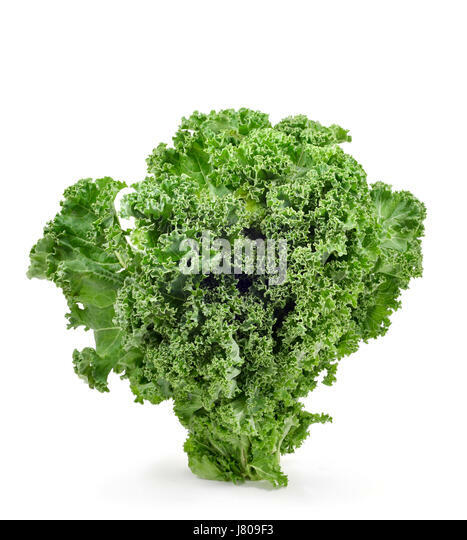 Kale, low in calories, has about 18 calories per one-half cup cooked serving. It is a great source of fiber, phytochemicals, and antioxidants. Numerous vitamins and minerals found in kale include thiamin, riboflavin, folate, iron, magnesium, and phosphorus. A serving of kale provides more than the daily need of vitamin C, twice the requirement of vitamin A, and six times the daily need of vitamin K.
According to the American Institute for Cancer Research, kale and other green vegetables like spinach, deep green lettuces, bok choy, mustard greens, chard, and mesclun (a salad mix) may protect against cancers of the mouth, pharynx, larynx, esophagus, and stomach. For a healthier diet, add this mild-flavored, power-pack vegetable to your meals. Go green with kale.